The lives of more than 50 000 high school children and over 2500 TVET (Technical and Vocational Education and Training) students have been touched since we began in 1970. In those early years our numbers were small but, applications continue to flood in by the thousands and the work has grown. 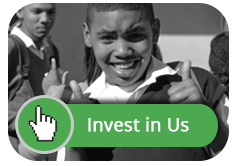 We work with learners in State schools – we keep these learners in their local schools. They are then motivated and encouraged to complete their high school and work towards reaching their potential of becoming the role models that are so lacking in their communities. It is astounding that children from such desperately poor homes succeed in spite of the difficulties which beset them. towards becoming responsible citizens of this wonderfully diverse country. to complete their secondary (grades 8 to 12) or TVET college education. During the late 1960s, apartheid crippled black schooling, especially in the Western Cape where restrictions were so severe that these children usually sought their education in the old mission colleges of the Eastern Cape. At that time every race group had a separate school syllabus with its own text books and set books. During years of the worst apartheid, volunteers worked together in a private house. School protests in 1976 resulted in heavy-handed police tactics and widespread arrests which affected all our scholars for nearly 15 years. Some were arrested, some were tortured, many fled the country. On 27 April 1994, the day of South Africa’s first election, the organization moved to rented premises and developed into an establishment with paid office staff and an efficient computer environment. Though independent of the State, the ASF supports learners in the State education system and is the natural receiver of first-hand information about conditions in the schools and colleges. Contact with the Education Departments has been maintained irrespective of the government in power. To date, no financial assistance from the government has ever been received. The Fund relies entirely upon private donations. Since 1970, Funds in excess of R28 million has enabled more than 55 000 schoolchildren and TVET students to pursue their studies. Most beneficiaries are non-white learners although no racial distinction is made in giving the awards. Our whole intention is focused on the learner, for their care and their benefit. There is no other fund quite like this. Other organizations focus on putting our youth through tertiary education, but this is not possible unless there is a supply of capable students to start with! No student reaches university without first going to school. No artisan begins training at an TVET college without having first gone to school. In fact, there would be no students at the tertiary level unless they had successfully completed high school. This is what makes the organization so unique. It is an invaluable service that the ASF renders – we enable and ensure that our youth are properly schooled and prepared for further education. South Africa is one of many countries globally, faced with a high youth unemployment rate. We expect the best from the young people in our country, but their socio-economic conditions make it very difficult for them to remain in, let alone excel, at school. We then expect them to reach and succeed at a tertiary educational level, which brings further challenges of accessibility and affordability. 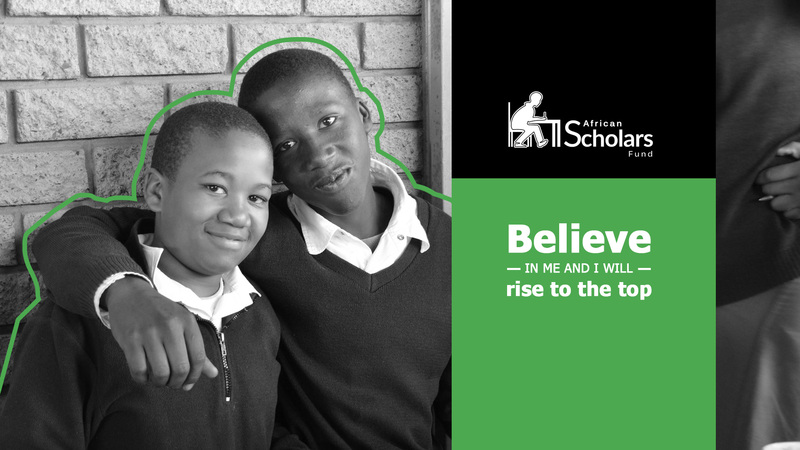 The Fund helps empower our youth that struggle financially by providing them with the means to contribute towards their school fees, school uniform, transport and other basic school needs. We nurture, motivate, mentor, care for and support our bursars until they have completed their basic education. We are completely focused on the wellbeing of our bursars. We monitor and comment on their schoolwork and their progress. Contact with our bursars is regular, ongoing and constructive. awards from the principal or designated bursary representative at their respective school. 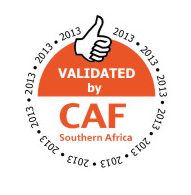 The African Scholars’ Fund is a registered Non-Profit Organisation (NPO: 002-838; PBO: 130002416).